Honey and cinnamon are known for their healing abilities. Plus, they are delicious and nutritious. They should feature in every person’s regular diet. But did you know that the combination of honey and cinnamon can also help you lose weight? While honey and cinnamon will not do the job alone, in conjunction with the right diet and exercise program, this mixture can help you reach your goal faster. If you take the honey and cinnamon drink in the morning on an empty stomach, it can increase your metabolic rate and promote fat burning while providing you with a steady supply of energy. A research published in American Journal of Clinical Nutrition found that consumption of honey can “can provide beneficial effects on body weight and blood lipids of diabetic patients”. The scientific journal Metabolism reported that cinnamon can help you lose weight because it has a substance called cinnamaldehyde that can help burn fat cells quicker. Researchers found that cinnamon can have an anti-obesity effect and help improve metabolic health. One small study published in the Asian Journal of Pharmaceutical and Clinical Research found that consuming cinnamon tea helped to lose weight. Another medical study found that natural honey reduces cardiovascular risk factors, and it does not increase body weight in overweight or obese subjects. The combination of honey and cinnamon can help you avoid sugar crash. The mixture of honey and cinnamon stops in-between meal nibbling and reduces unhealthy cravings. Research published in 2007 in the American Journal of Clinical Nutrition showed that cinnamon actually reduces blood sugar levels. As sugar doesn’t build up in the blood, this characteristic supports weight-loss. One peer reviewed study found that honey can help you lose weight because it acts as an appetite suppressant by affecting the hunger hormone ghrelin. When taken before workout, honey and cinnamon will give you the energy boost needed to start and complete your exercise session. Increased metabolic rate enhances the effects of the workout. Pure honey is a healthy and natural sweetener which gives you energy while reducing your consumption of processed sugar. An interesting scientific study found that honey and royal jelly can reduce feelings of fatigue in people who suffer from cancer related fatigue. A review of scientific studies about the medicinal benefits of honey says that consuming 15 ml of bee’s honey can reduce stress and fatigue. In the evening, cinnamon and honey help you avoid night time cravings and they also reduce hunger pangs by providing your stomach with some (healthy) substance to munch on. Scientific studies have shown that cinnamon extract can help you lose weight because how it affects the feeling of hunger. The mixture of honey and cinnamon is also suitable for diabetic patients in moderation and as part of their diabetes eating plan, as described in the study published in the International Journal of Food Sciences and Nutrition in 2009. People suffering from diabetes were given honey over a period of eight weeks. They experienced decreases in cholesterol and triglycerides levels and lost body weight more easily compared to the control group. If in doubt, consult your doctor before starting a diet or weight loss program. Mix half a teaspoon of cinnamon (Ceylon cinnamon is the best) with a cup of hot water. Let it cool down and add a teaspoon of raw, organic honey to the water mixture and stir (cooling to a drinkable temperature will help raw honey keep its nutritional value). Drink the concoction. When to Take Honey and Cinnamon to Lose Weight? – In the morning, about 20-30 minutes before having your breakfast. – Between meals, especially if you start feeling hungry and you experience food cravings. The mixture will lessen your appetite and also help you stay focused and alert throughout the day. – Before your aerobic workout, especially if you feel that your energy levels are low. Try to exercise on an empty stomach and abstain from eating for another 30 minutes (or more) after you’ve finished with the session. This helps you burn more calories, as the body doesn’t need to deal with digestion while working out. – In the evening, before bedtime, so you can get through the night easier and get a good night’s sleep. Read my previous article on how to use cinnamon as medicine, including which type of cinnamon is the best for you. Also make sure to read my article about scientifically proven ways to use honey for your health. 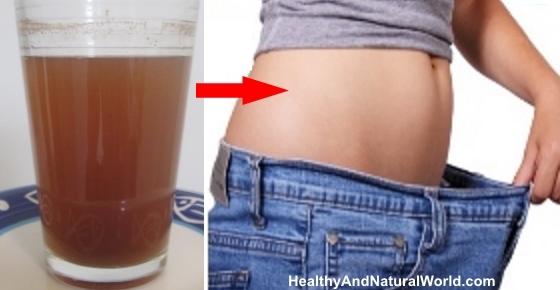 For more weight loss drinks, read my article: Flat Tummy Water To Help You Lose Belly Fat: 8 Delicious Recipes. Adding cinnamon to your diet is also one of the 70 habits featured in my e-book 70 Powerful Habits For A Great Health which will guide you how to take positive steps to improve your wellness and overall health. If you suffer from belly fat, you can find more information on how lose your belly without counting calories or starving yourself in my e-book Blast Your Belly Fat – this is the ultimate guide for losing belly fat. can a pregnant woman take the honey and cinamon mixture to shed excess weight. Generally speaking honey and cinnamon are safe in normal food quantities, but large amount of cinnamon can interact with certain medications. You can combine this drink as part of a healthy nutrition and exercise (depending on how you feel and the stage of your pregnancy) to maintain a proper weight during pregnancy. It’s all fine if you take it in normal food quantities, but excess consumption is not recommended. The cinnamos is powdered or stick?? In the recipe it’s powdered cinnamon. After. Shouldn’t mess with nature. You’re reproductive organ is in gear. Hold up until afterward otherwise you may get the body but who knows how it could affect the baby. Really…got nothing better to do ? Nice information. Is it good for health along with lemon juice+cinnamon +honey? You can add lemon juice. See more information about the health benefits of lemon water here. Hi can substitute with manuka honey instead of raw? Yes, pure Manuka honey is very good. Thanks slot health and natural world, please advice me whether i should take honey becouse am diabectic 2.will be waitng. Does this interact with blood thinners? Livestrong website advises that if you are on a blood thinner medication, you should avoid excessively consuming cinnamon (especially cassia cinnamon which has higher amount of coumarin than Ceylon cinnamon). Read the full article here – http://www.livestrong.com/article/524042-can-you-take-cinnamon-with-a-blood-thinner/. It’s best to talk to your doctor to establish the right amount for you. whats the difference between Ceylon Cinnamon and Cinnamon Bark? There is Ceylon cinnamon and Cassia cinnamon. If you buy a cinnamon stick, Ceylon cinnamon has a different texture than cassia stick. The bark of Ceylon cinnamon is thinner and the stick will show multiple layers of a thinner bark. Cassia stick, on the other hand, is thicker, comes in one piece and doesn’t show multiple layers of any kind. If you buy in powder form, there is no way to distinguish between Ceylon cinnamon and cassia cinnamon. So try to find on the label the source of the cinnamon or call the customer service or manufacturer to find this information. I started using this 4 weeks ago. But after a week my throat started paining. As if i m having sore throat. I stopped using this, within 2-3 dayz it became ok. Then again i started taking this mixture again same problem reoccur. Why this happen?? I’m not really sure to be honest. I personally didn’t have any issue with that but every person is different. Perhaps you have some sensitivity to the cinnamon, but I’m not really sure. Most likely she has a sensitivity to honey. Actually you need to be careful. Some people are allergic to cinnamon but don’t know it! Also, be certain that you’re buying real, organic cinnamon. It’s been reported that lots of grocery store chains have stocked brands of cinnamon that have very little of the spice but lots of fillers such as sawdust. So try switching brands of cinnamon. If you have problems with a high quality cinnamon too, then you really may be allergic. Best wishes for your good health! will cassia cinnamon be any good or the perfect results will only be achieved by Ceylon cinnamon. Cassia cinnamon also offers health benefits, however if you decide to use a lot of cinnamon, you do need to use Ceylon because it will lower your risk of liver damage. Cassia cinnamon contains substantial amounts of coumarin, a natural substance that can cause liver damage if consumed in excess. Ceylon cinnamon, on the other hand, contains only trace amounts of coumarin, so from a safety point of view, Ceylon cinnamon is better. I suggest that you also read this article for the Wall Street Journal. Where can I buy Ceylon cinnamon in New York City? Hi! My age is 26 and I want to loose 10-12 kgs , so plz suggest me how much I should take? The mixture is not a miracle solution for losing weight – it needs to be combined with the right diet and exercise program, but it can help you reach your goal faster. You can drink it in the morning and in between meals to reduces unhealthy cravings, or in the evening, before bedtime to get a good night’s sleep. OK thanks!!! I have changed my diet habits. I want to reach my goal faster. I hope this will work for me ! thanks again !!! Jenny!!!!! Hi Denise, you can make it in larger quantities and keep it outside the fridge for a day or two. can I let cinnamon stay for overnight instead of puttin it in hot water? Hi Seema, I’m not sure I understand the question, but if you mean steeping the cinnamon in warm water overnight like preparing a tea, that this is fine. Can breastfeeding moms have this regularly?? Or is it also ok if I take it twice or thrice in a week?? And hope it’ll not affect the baby..
Hi Vidya, according to Livestrong website, “Because the safety of cinnamon in supplement form has not yet been sufficiently studied in regards to nursing mothers, women who are breastfeeding should talk to their doctors before taking it. A woman who enjoys eating cinnamon in doses found in foods can continue to eat it this way without concern unless her baby develops a reaction”. I believe half a teaspoon a day is considered to be a normal food quantity, but perhaps start only from 2-3 a week to see how your baby reacts – Some babies may react negatively to the taste or smell of cinnamon in the mother’s breast milk, but other babies may ignore or enjoy the flavor. Can somebody who has fatty liver can take this cinnamon and honey mixture? Hi Mariam, I suggest that you talk to your doctor about it. I was able to find a study suggesting that taking cinnamon daily may be effective in improving non-alcoholic fatty liver characteristics (see reference here). On the other hand, cassia cinnamon contains large quantities of coumarin which in large quantities could cause or worsen liver disease. While both Ceylon and Cassia Cinnamon contain cooumarin, Cassia variety has much higher levels than Ceylon variety. It is not possible to distinguish between Ceylon and Cassia cinnamon powder. However, Cassia cinnamon sticks are thicker than Ceylon sticks which are thinner and come in layers. Consult with your doctor if Ceylon cinnamon is suitable for your condition in the amount specified in the recipe. Read my article about cinnamon health benefits which provides information about the difference between Cassia to Ceylon cinnamon – see here. Very good information.. to everyone. I have been using it for a while now, not working for me. The cinnamon congeals into a glob at bottom of cup after it cools..are you suppossed to drink that? Or just the steeped liquid? Hi Chris, you don’t have to drink it, you can just drink the steeped liquid. If you want you can mix it while you drink so it mixes in the liquid but it’s up to you. I want to ask a question is this suitable drink for summers as I m living at a place where temperature reaches 50degree. I took it for 10 days my body temperature got increased and there was too much sweating problem. You can let the water cool down and drink it at a room temperature. Don’t add the honey to boiling water as it will destroy the nutrients in the honey. Wait until the water has cooled down for a little bit and then add the honey to the warm water (not boiling hot). How much of everything so you use and is it hot cold water? Does this mess with hot flashes also? I don’t think so (I couldn’t find information about it). It is said in the article to mix half a teaspoon of cinnamon (Ceylon cinnamon is the best) with a cup of hot water. Let it cool down and add a teaspoon of raw, organic honey to the water mixture and stir (cooling to a drinkable temperature will help raw honey keep its nutritional value). Can i mix honey n cinnamon with cumin water? Is it perfect for weight lose? Yes, you can add cumin. Can we use castor oil with coconut oil and at what proportion. Can we us this mixture daily. I guess you refer to the article about treating hair loss with castor oil. You can mix coconut oil and castor oil in a half and half ratio (it’s written in the instructions). You can do it daily but if it’s too much for you, do 3-4 times a week. I have been taking this n really felt I had reduced. However I felt a chest burning like acidity so then stopped it. But any one looking for weight loss this is the best recipe. You can add ACV to the mix as well. I’m really glad that I’m from Sri Lanka because i can find ceylon cinnamon anywhere in my country!!! I never thought that it’s soo valuable !!! Yes you can add cinnamon to lemon water without the honey if you cannot get raw honey. This can be true.. I’ve been using this combination(1 glass water,1 teaspoon honey, cinnamon and lemmon )for last month and I just can feel the positive results day after day. BUT when i took this some days later whole body gets etching and spreads ;ilke as achne or some skin deseased, after that i stopped the liqid. I’m not sure why you have these symptoms – Perhaps you have an allergy to honey or cinnamon. In this case discontinue to drink it. I usually drink hot lemon water with ginger n honey in the morning before breakfast. Should I replace this drink with that? Since we keep this overnight in the fridge it will be cold, and my other drink is hot. Can I wake up and drink this before my workout and then after my workout drink lemon+ginger water before breakfast…Please suggest! Hi Chandni, don’t replace one drink with another. They both have their benefits. I’ve read it’s not recommended to drink in the morning cold beverage but rather warm or at a room temperature. You can drink them according to what suitable for you and the way you suggested is fine. Can i add apple cider vinegar in this drink? Hi Mildred, the best type of cinnamon to use is Ceylon cinnamon. You can find more information on how to tell the difference between the cinnamon types in this article. The problem is that you cannot distinguish between cinnamon types when they come as powders. So when you purchase cinnamon powder, try to find on the label the source of the cinnamon or call the customer service or manufacturer to find this information if possible. Hi Carla, you may want to read my article about the top 16 essential oil to reduce pain and inflammation. I don’t know how effective it will be in your case, but worth a try. As to improve energy levels, you may want to refer to my article about D-ribose. How many days do you have to take cinnamon with honey to see the results. It takes time to gain weight and it also takes time to lose weight. Combining it with the right diet and exercise program, I believe that you will start noticing results within several weeks. I found a product with cinnamon and honey mixed together,would that work? It depends what exactly the product contains. What I mean is that often commercial products contain a lot of honey, or other additives. When you make your own drink with available ingredients such as cinnamon and honey, you have a control over what you put in it and what goes into your body. If 1/2 teaspoon of cinnamon is too much for you, start from only 1/4 of teaspoon and see how you go. Hi! Can I add coconut oil to the honey and cinnamon mixture? Also, where can I find healthy smoothie recipes that I can use as meal replacements? You can add coconut oil to the mix – read my article about utilizing coconut oil to lose weight. I can’t recommend a specific source of smoothie recipes as meal replacement as there are numerous like these, but the most important thing is when you see a recipe, you need to evaluate it – for example: you can get too much of any nutrient from a smoothie (such as too much carbs if it’s loaded with fruits) or it can also lack nutrients, like protein or healthy fats. Pack your smoothie with some of each major nutrient and not too much of any other nutrient. Also smoothie meals can be easily over-consumed so make sure your smoothie is one serving. Is it ok to mix 1 tsp cinnamon, 1 tsp cumin in hot water n let in cool down n thn mix 2 tsp honey in mixture. Would tht work? Half a teaspoon of cinnamon is enough. You can add cumin to the mix as cumin is known to aid in weight loss as per my previous article. You can use regular cinnamon but Ceylon cinnamon is the preferred option. I don’t like the taste or texture of the honey cinnamon water. Does it have to be in water or can I just have the honey and cinnamon combined in a paste that I mix and then eat? This was my question also! I use EO’S I am wondering how many drops would work? Which EO’s do you refer to? Do you mean Cinnamon EO? How many drops of the cinnamon essential oil can be used with the raw honey? Since EOs are very concentrated, 1-2 drops per cup is enough. Make sure the EO is of a food grade quality. Am I supposed to sieve the honey/cinnamon solution before drinking? No, you just mix everything and drink. Thank you for the great information! Is using cinnamon bark just as good? Yes, you can use cinnamon bark. Could you mix it in plain yogurt instead of drinking it? Would it be OK to mix cinnamon,honey and cumin in yogurt for breakfast? Yes, you can mix it with yogurt and add cumin, as cumin also aids in weight loss as per my previous article. As a side note – the advantage when you drink it with water is that water plays an essential part weight loss. When your body is dehydrated it slows the metabolism and sends signals that your brain mistakes as hunger. Drinking a glass before you eat will help curb your appetite much quicker and keep you from excess calories, so make sure you are well hydrated. I have been using the recipe for about a week now.i feel great..no more cravings. I am going to start this drink tomorrow and was wondering if it has any effects on prescription pills? I take amantadine 100mg, buproprion , escitalopram 5 mg first three in the morning also once a day and 300 mg of gabapentin at night with 10 mg of melatonin. Will this drink affect anything? Hi Emma, I’ve seen that cinnamon can interact with certain medication (see webMD website regarding cassia cinnamon), however I’m not a doctor and don’t have a knowledge to give specific advice. It’s best to consult with your doctor to be on the safe side. Hi Pat, please read the article. It says: “Mix half a teaspoon of cinnamon (Ceylon cinnamon is the best) with a cup of hot water. Let it cool down and add a teaspoon of raw, organic honey to the water mixture and stir (cooling to a drinkable temperature will help raw honey keep its nutritional value). Drink the concoction.” (see under the title “Honey and Cinnamon Mixture for Weight Loss”).